Engineers scrambled to keep NASA’s billion-dollar asteroid-bound OSIRIS-REx spacecraft on track for its launch last week in the aftermath of an explosion a mile away at SpaceX’s launch pad at Cape Canaveral. Quick action by safety authorities and engineers kept the OSIRIS-REx spacecraft clear of damage and on track for its successful liftoff Sept. 8, at the opening of a 34-day launch window. A delay beyond the launch period would have resulted in at least a one-year delay, and likely added tens of millions of dollars to the mission’s cost. An account of the Sept. 1 explosion, which destroyed a SpaceX Falcon 9 rocket and its Israeli-owned commercial satellite payload, written by a U.S. Air Force officer who helped coordinate the response to the accident reveals new details about the mishap’s ripple effects across Cape Canaveral Air Force Station and the neighboring Kennedy Space Center. The accident caused no casualties — SpaceX’s Complex 40 launch pad was evacuated for the “static fire” test that led to the explosion — but officials from SpaceX, the Air Force, NASA and United Launch Alliance teamed up to limit damage to the Falcon 9 launch complex. ULA’s next Atlas 5 rocket, crowned with NASA’s OSIRIS-REx asteroid sample return craft, sat cocooned inside its Vertical Integration Facility about 1.1 miles north of Complex 40 when the explosion occurred. Both launch pads — the Falcon 9’s Complex 40 and Atlas 5’s Complex 41 — have the same basic layout after the Air Force originally constructed the facilities for the Titan rocket program. In the Titan era, rail lines connected each pad to nearby assembly buildings where the Titan’s liquid-fueled core and solid rocket boosters came together. 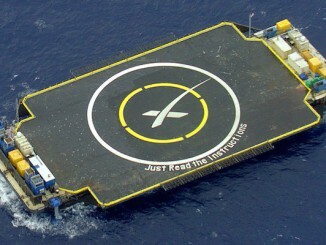 Now the launch pads are operated by rivals in the launch industry. Lt. Col. Greg Lindsey, a commander of Detachment 1 in the Air Force’s 45th Mission Support Group, described how engineers and emergency responders resolved two problems stemming from the SpaceX explosion that threatened to affect Atlas 5 launch preparations at Complex 41. The water deluge system at SpaceX’s launch pad, which dumps thousands of gallons of water on the launch deck to suppress the acoustics and fire of launch, was damaged in the explosion. “While you might think our immediate concern was the fires on the pad and their sources, my civil engineer representative informed me that during the explosion, the deluge system had been damaged and most of the water was being shot up into the air rather than being dispersed across the pad as designed,” Lindsey wrote. 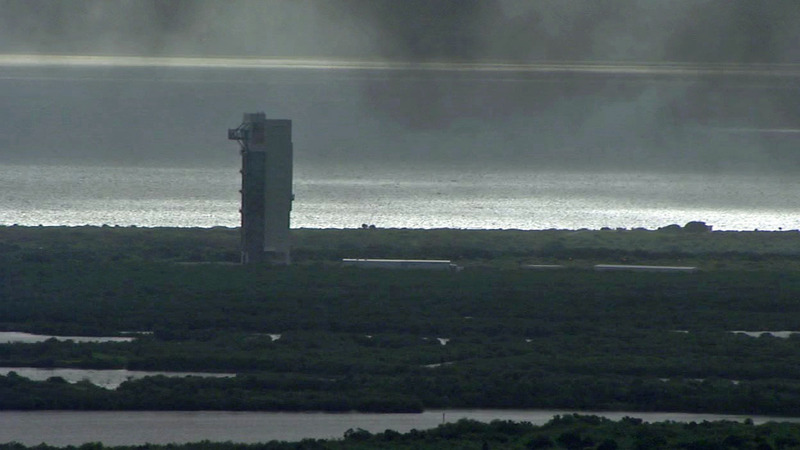 Black smoke hangs in the air at the Atlas 5 rocket’s assembly building Sept. 1. The deluge systems at the Falcon 9 and Atlas 5 launch pads rely on the same 1.2 million-gallon water tank, and officials worried the reservoir would run dry with the deluge nozzles at Complex 40 at full stream. 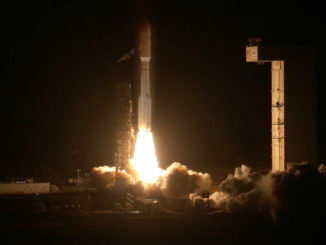 “If the tanks ran dry then the motors to the pumps would burn up, which would render the deluge system inoperable for other launch pads meaning our upcoming ULA launch might then be in danger,” Lindsey wrote in an account published on the website of Patrick Air Force Base, headquarters of the 45th Space Wing, which runs the Eastern Range and oversees launches from Cape Canaveral. Managers dispatched an “initial response team” to turn off the pumps and resolve that worry, according to Lindsey, who directed the Air Force’s Emergency Operations Center on Sept. 1. 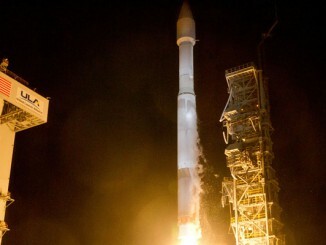 OSIRIS-REx was already mounted on top of the two-stage Atlas 5 launcher at the time of the Falcon 9 explosion. Air ducts and electrical cables connected the spacecraft with ground supplies until liftoff. Officials started to send a team to Complex 41 to repair the chillers, then Lindsey said he received word that all the pressures were lost. “Technicians had to get to the spacecraft immediately,” he wrote. Complex 41 sits on NASA property, just outside the limits of Cape Canaveral Air Force Station to the north of Complex 40. 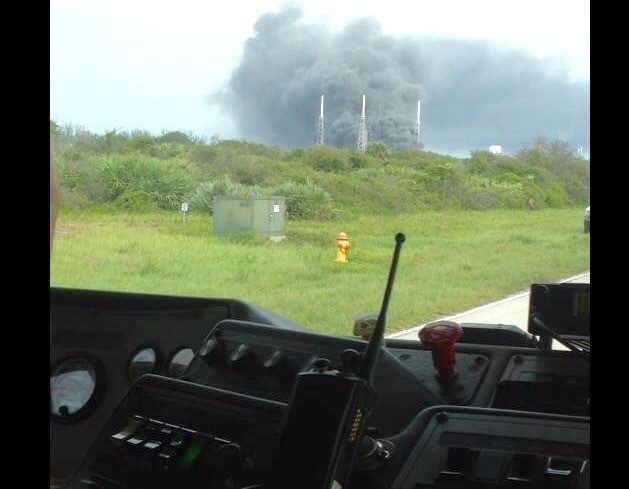 The Air Force coordinated with Kennedy Space Center officials to reach Complex 41 through their roadblocks and get to the pad without traveling near the fire still burning at the SpaceX launch facility, according to Lindsey. Within two days of the explosion, OSIRIS-REx was back on track for its Sept. 8 launch date, according to Tory Bruno, ULA’s president and CEO. “We were evacuated, so we had some schedule to make up, and we had to do some special cleaning,” Bruno said. The cleaning was a precaution to ensure smoke that blew north from the SpaceX explosion did not contaminate any sensitive parts of the rocket or the OSIRIS-REx spacecraft. “All that of that got done, and really by last Saturday, we were back on to our original plan,” Bruno said. With OSIRIS-REx safely secured, attention turned back to the SpaceX pad. Responders ensured there were no remaining explosive threats and monitored the launch pad’s propellant holding tanks for flare-ups. A NASA drone aircraft also flew over Complex 40 to survey the damage before emergency authorities entered the pad. Officials checked for hazardous gases that could have been dispersed in the explosion. The Amos 6 satellite bolted to the top of the Falcon 9 rocket was loaded with several tons of toxic hydrazine and nitrogen tetroxide propellants at the time of the accident.